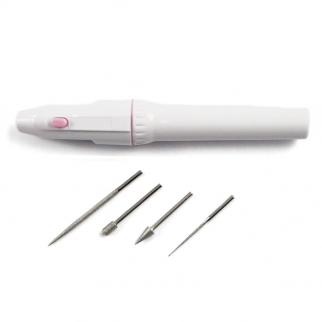 5pc Ergonomic Electronic Diamond Bead Reamer Set And 4 Bead Reamers Craft Hobby $ 6.86	• 54% off! Compact Eye Glass Repair Case Kit 11pc $ 5.99	• 64% off! Universal Tool Ice Tempered S Steel Salon Hairdressing Barber Scissor 7.5 inch $ 6.99	• 42% off! 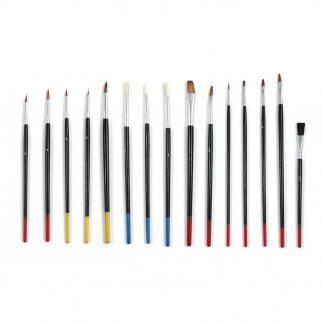 15pc Universal Tool Artist Painting Brushes Set Assorted Sizes $ 6.99	• 46% off! 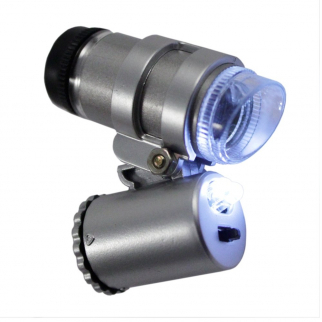 Illuminated LED Mini Microscope 16X Magnification Adjustable Focus Jewelry Hobby $ 8.99	• 40% off! Forming Pliers Stainless Steel Craft Hobby Jewelry Making Tools $ 10.99	• 45% off! 8pc Basic Pottery Kit Clay Molding Hobby Arts and Craft Tool Set for Beginners $ 8.99	• 59% off! Hook and Loop Self Adhesive Sewing Tape 40 Inch 3/4 Wide for Arts Crafts - Black $ 5.99	• 60% off! Hanging Strips Self Adhesive Hook and Loop 40 inch Decor Fastener - White $ 5.99	• 60% off! Self Locking Plastic Bags All Purpose Storage Baggies 100 pack - 2 x 2 Inches $ 5.99	• 45% off! Self Locking Plastic Bags All Purpose Storage Baggies 100 Pack 4 x 4 Inches $ 6.99	• 36% off! Self Locking Plastic Bags All Purpose Storage Baggies - 100 Pack 5 x 5 Inches $ 8.99	• 25% off! ASR Outdoor 5.25 Inch Plastic Heavy Duty Gold Snifter Bottle Nozzle 4 oz Volume $ 6.99	• 36% off! Wood Burning Pen Kit with 39 Woodburning, Soldering Tips, Stencil, Stand, and Exclusive Finger Grips $ 31.99	• 20% off! 3/4 Dram Glass Vial for Gold and Gold Dust Collecting 144pk $ 25.99	• 48% off! Universal Kitchen Scissors 8 Inch Long Stainless Steel Blades Sharp Edge - White $ 7.99	• 47% off! DIY Craft Engineering Self Healing Cutting Mat Double Sided Green, 18x12 $ 26.99	• 23% off! Industrial Design Self Healing Double Sided Cutting Board Mat, 9x5 Inches $ 7.99	• 58% off! Jewelers Eye Loupe 14X Magnification for Precision Hobby Arts and Craft Projects $ 6.99	• 56% off! 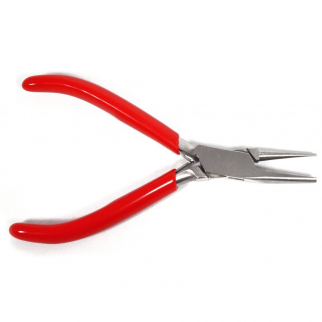 Shear Scissors Blades Sharp Heat Treated Thread Nipper 4.25 inches $ 5.99	• 45% off! Reading Glasses Nannini Optics Vision Care Italian Fashion Readers - Black 2.5 $ 32.99	• 34% off! Kitchen Shears Scissors 8.5-Inch Durable Premium Cutting $ 7.99	• 47% off! Reading Glasses Nannini Optics Vision Care Italian Fashion Readers - Crystal 2.5 $ 32.99	• 34% off! 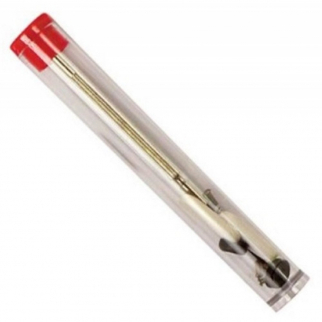 1 Dram Glass Vial for Gold and Gold Dust Collecting 144pk $ 25.99	• 48% off! 100pc Shipping Envelopes Mailer Polymailer USPS Postal Bag - 14 x 19 Inch $ 30.99	• 23% off! Self Locking Plastic Bags All Purpose Storage Baggies 100 Pack 4 x 5 Inches $ 6.99	• 36% off! 78pc Leather Punch Repair Tool Hole Punch Eyelets Pliers Vinyl Metal $ 16.99	• 37% off! 7 ml. Gold Rush Flake and Dust Collection Hobby Craft 2 Dram Glass Vial 144pk $ 25.99	• 33% off! Necklace Pocket Pendant Jewelers and Hobbyists Magnifying Owl Glass Eye Loupe $ 7.99	• 43% off! 3pc Large Serrated Tweezer Tong Set with Case- 12, 10, and 8 Inch $ 10.99	• 21% off! Adjustable Jeweler Saw Frame Professional Quality Hobby Utility Tool - 3 Inch $ 10.99	• 50% off! Universal Tool LED Illuminatd Soldering Stand with Magnififer and Iron Holder $ 19.99	• 50% off! Dual Sided 12pc Wax Clay Carving Pick Spatula Tool Set with Case Arts and Crafts $ 12.99	• 24% off! Jewelers Light and Magnfine Glass 6X Hands Free Eye Loupe with Head Strap $ 6.99	• 53% off! 6pc Universal Tool Complete Professional Precision Screwdriver Set & Sturdy Case $ 9.99	• 29% off! 100pc Polish Sand Cut Rotary Accessory Set in Wooden Box $ 16.99	• 43% off! 10pc Razor Knife Blade Refill Pack Replacement Blades for 8828 Hobby Knife $ 6.99	• 36% off! Heavy Duty Flat Nail Puller Forged Steel Cats Paw Carpenters 15 Inches $ 11.99	• 52% off! 1 2/3 Dram Glass Vial for Gold and Gold Dust Collecting 144pk $ 25.99	• 48% off! Industrial Safety Pin Set Size 0-4 Craft Hobby Gear Repair 125 Pack $ 5.99	• 45% off! Professional Hobby Crafts Wood Burning Pen Kit Set Soldering Iron pencil Set 7PC $ 12.99	• 57% off! 6pc Universal Heavy Duty Leather Hollow Punch Set $ 7.99	• 80% off! 4pc Hook and Pick Deluxe Swivel Handle Precision Tool Set for Home Improvement $ 8.99	• 44% off! The Legend of Zelda Hyrule Shield Necklace with Removable Mini Sword Black $ 10.99	• 63% off! 52pc Deluxe Utility Knife Complete Modeling Scrapbooking Set Craft and Hobby $ 19.99	• 50% off! 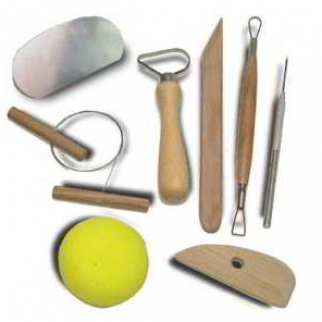 10pc Spatula Wax Carver Ceramic Pottery Double Ended Tool Set for Crafts Sewing $ 11.99	• 40% off! 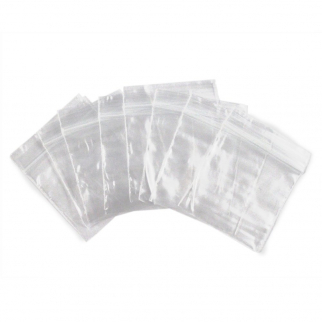 Self Locking Plastic Bags All Purpose Storage Baggies 100 Pack 6 x 9 Inches $ 10.99	• 15% off! 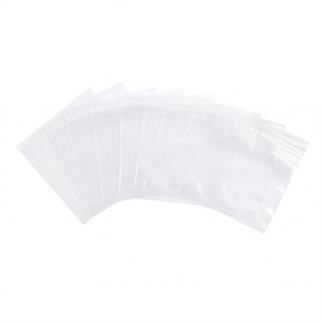 100pk 3 x 3 Self Locking Plastic Bags 2mm Thick All Purpose Storage Baggies $ 5.99	• 45% off! 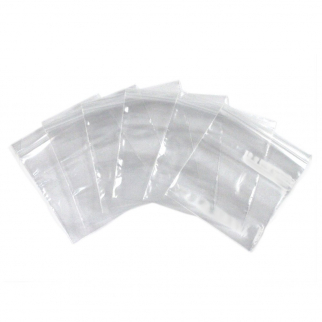 100pk Self Locking Plastic Bags 2mm Thick All Purpose Storage Baggies - 5 x 6 in $ 7.99	• 27% off! Self Locking Plastic Bag All Purpose Storage Baggies - 100 Pack 1.5 x 1.5 Inches $ 5.99	• 45% off! Moto Tool Foot Pedal Power Tool Control Switch Flexible Shaft Grinder $ 19.99	• 33% off! Watch Jewelry Eyeglass Repair Kit Including Illuminating Eye Loupe $ 32.99	• 35% off! Universal Hobby Brass Head Hammer Art Jewelry Home Watch Craft DIY Tool $ 7.99	• 50% off! 4.5 Inch 4 Prong Metal Pick-Up Tool Hobby Crafts Jewelry Making with Case $ 6.99	• 36% off! Reading Glasses Nannini Optics Vision Care Italian Fashion Readers - Blue 1.0 $ 32.99	• 34% off! Reading Glasses Nannini Optics Vision Care Italian Fashion Readers - Crystal 1.0 $ 32.99	• 34% off! Reading Glasses Nannini Optics Vision Care Italian Fashion Readers - Crystal 3.0 $ 32.99	• 34% off! Reading Glasses Nannini Optics Vision Care Italian Fashion Readers - Crystal 1.5 $ 32.99	• 34% off! Reading Glasses Nannini Optics Vision Care Italian Fashion Readers - Crystal 2.0 $ 32.99	• 34% off! 28pc Wood Burning Wood Working and Assorted Soldering Tips Stencil Set Crafting $ 17.99	• 38% off! 7pc Aluminum Precision Electronics Picks Colored Handles Hobby Craft Set $ 8.99	• 36% off! Universal 9 Piece Magnet Science Kit Assorted Shapes and Sizes $ 6.99	• 50% off! 10pc Universal Tool High Speed Steel Titanium Mini Router Drill Bits $ 16.99	• 51% off! Universal Hobby Aluminum Storage Display Container Set & Case (Various Packs) $ 10.99	• 35% off! 20pc Universal Hobby Complete Aluminum Storage Container Set 1 Inch Diameter $ 9.99	• 33% off! 4pc Spatula Wax Carver Ceramic Pottery Double Ended Tool Set $ 7.99	• 38% off! Tenacious Tape All Purpose Gear Tear Repair Equipment Patch Outdoor - Red $ 7.99	• 60% off! Basic Wood Burning Hot Blade Starter Pen Set with Assorted Designer Tips - 10pc $ 12.99	• 57% off! 10pc Straight Mandrel Size 1/8 Inch Shank 2 Inch Diamond Bead Reamer Set $ 7.99	• 27% off! 144pk ASR Tactical Escape Saw Blades Outdoor Emergency and Personal Defense $ 7.99	• 38% off! Reading Glasses Nannini Optics Vision Care Italian Fashion Readers - Blue 2.0 $ 32.99	• 34% off! Reading Glasses Nannini Optics Vision Care Italian Fashion Readers - Blue 2.5 $ 32.99	• 34% off! Reading Glasses Nannini Optics Vision Care Italian Fashion Readers - Grey 2.5 $ 32.99	• 34% off! Reading Glasses Nannini Optics Vision Care Italian Fashion Readers - Grey 2.0 $ 32.99	• 34% off! Reading Glasses Nannini Optics Vision Care Italian Fashion Readers - Grey 3.0 $ 32.99	• 34% off! Reading Glasses Nannini Optics Vision Care Italian Fashion Readers - Black 1.0 $ 32.99	• 34% off! Reading Glasses Nannini Optics Vision Care Italian Fashion Readers - Blue 1.5 $ 32.99	• 34% off! Precision Adjustable Telescoping Inspection Mirror Hobby Tool $ 7.99	• 43% off! 10pc Sterile Surgical Grade Replacement Scalpel Blades Universal Fit - Size 11 $ 7.99	• 27% off! Universal Tool 180 Watt Soldering Gun Set Multiple Tips Solder Flux Carry Case $ 29.99	• 40% off! Universal Tool Pocket Butane Micro Torch $ 17.99	• 31% off! 36pc Universal Ring Sizing Gauge Size 1-15 and US Half Sizes Durable Aluminum $ 9.99	• 50% off! 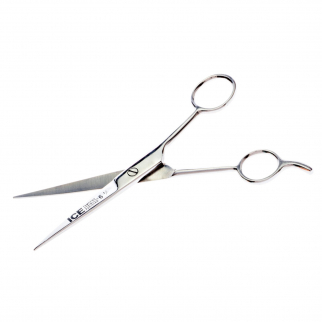 Universal Tool Ice Tempered S Steel Salon Hairdressing Barber Scissor 5.5 inch $ 6.99	• 42% off! Universal Home 100 Count 4" Cable Wire Hose Zip Ties $ 5.99	• 45% off! Gear Aid UV Cure AquaSeal for Camping Outdoor In Field Repair Adhesive - .25oz $ 8.99	• 10% off! 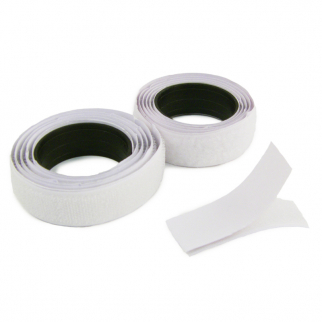 Universal Double Sided Tailors Tape 60 inches for Home Improvement Craft Hobby $ 5.99	• 45% off! Helping Hand Magnifier Heavy Duty Soldering Station - 4x Magnification $ 12.99	• 35% off! Retractable Sewing Tape Measure 60 inch Tailor Seamstress for Arts and Crafts $ 5.99	• 45% off! Reading Glasses Nannini Optics Vision Care Italian Fashion Readers - Black 2.0 $ 32.99	• 34% off! Reading Glasses Nannini Optics Vision Care Italian Fashion Readers - Blue 3.0 $ 32.99	• 34% off! Reading Glasses Nannini Optics Vision Care Italian Fashion Readers - Grey 1.0 $ 32.99	• 34% off! Universal 5pc Hobby Tweezer Set Stainless Steel $ 7.99	• 33% off! ASR Tactical Ceramic Folding Razor Escape Tool non Metallic Emergency Survival $ 12.99	• 43% off! 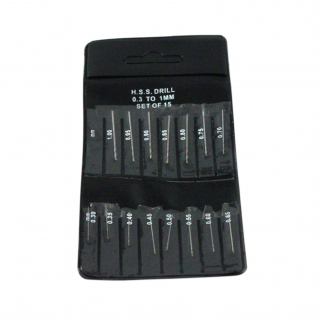 Watch Repair Tool Kit 16pc Jewelers Universal Pin Pusher Precision Belt Block $ 10.99	• 63% off! 15pc 1.5 Inch Aluminum Storage Container Set Heavy Duty Hobby Craft Organizer $ 8.99	• 53% off! 2X Magnification Credit Card Size Pocket Wallet Magnifier Lens Household Tool $ 5.99	• 45% off! Universal Tool Standard Round Precision Measurement Stainless Steel Wire Gauge $ 7.99	• 27% off! Universal Tool 1mm 10g Flux Coated Solder Computer Repairs Crafts And Hobbies $ 5.99	• 40% off! 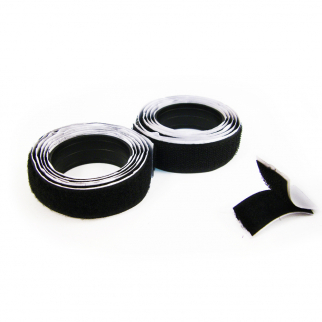 Gear Aid Tenacious Tape Repair for All Purpose Outdoor 5 ft Roll - Clear $ 9.99	• 50% off! Universal Tool Liner Tray With 18 Compartments for Drawer Cabinet Organization $ 6.99	• 46% off!